Bence spent almost all of her corporate career in branding and marketing, building powerhouse brands across 50 countries and four continents for mega-budgeted consumer giants such as Procter & Gamble and Bristol-Myers Squibb. Once she decided to leave the corporate world and start her own company, she began from the ground up with an almost nonexistent budget. Using skills from her branding background, she developed inventive, low-cost marketing methods that built her company and name into a brand that now serves clients in 30 countries with offices in both the U.S. and Asia. 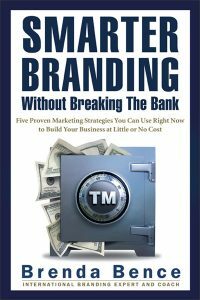 For years, Brenda has passed along her experience across the globe through her Smarter Branding workshops, but when people continuously asked her to capture the information on paper, the Smarter Branding book was born. “I wanted more business owners to realize that they already have assets they can use to build their brands at low-cost or even no-cost that can grow their business and quickly increase their bottom line,” Bence said. 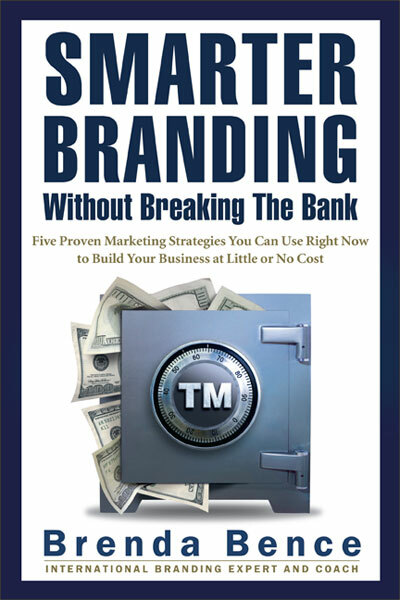 Smarter Branding Without Breaking the Bank is Bence’s fifth book. The Axiom Award is the book’s third since it was released in September of 2011. The three books in her How YOU™ are like Shampoo personal branding book series have won a total of 13 national book awards. The Axiom Business Book Awards are the largest and most respected critical guidepost for business books in today’s publishing world. These prestigious awards, which are presented by Jenkins Group, Inc, are presented in 21 business categories and serve as the premier list to help readers discover new and innovative works. The winners and finalists this year include books published by Harvard Business Review Press, McGraw-Hill, John Wiley & Sons, Yale University Press, Princeton University Press, Entrepreneur Press, AMACOM, and many independent publishers. 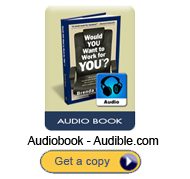 Brenda S. Bence is an internationally-recognized branding expert, powerful speaker and trainer, and certified executive coach. She holds an MBA from Harvard Business School and spent years developing mega brands across the world for Procter & Gamble and Bristol-Myers Squibb. Brenda is now President of her own company, Brand Development Associates International, and she spends her time traveling the world speaking, training, and coaching individuals and corporations to greater success through creative yet practical brand development. 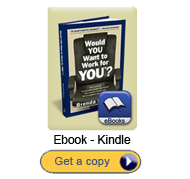 Brenda is available for television, radio, and press interviews to talk about her book and/or topics related to corporate and personal branding. 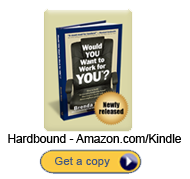 Visit www.BrendaBence.com, contact +1-312-242-1830, or email Daniel@BrendaBence.com for availability. This entry was posted on Tuesday, March 27th, 2012 and is filed under News and Press.